Tales from the Duck and Cherry: Family History is Fun! The study of family history and the tracing of their lineage. The word has Greek origin and means generation and knowledge. And that's what it is. My mother has a mother, who has a mother, who has a mother . . .
We are all connected. We all belong to the same family. Some came to earth first, some of us later. Right now it is my turn. Mothers and fathers have walked the path before me. I admire their hard work, their perseverance, their diligence. I have gotten to know them through entries in Church Records, Census Records, history books, oral tales and more. Through this information I have an idea of what they were like. I collect all the knowledge I can and make a personal story. A short written biography about an ancestor can give me insight into their daily life, their successes and failures, their family relationships, their work, their faith. I have learned to love them dearly and look forward to meeting them one day. I don't doubt that at all. I would like to speak with them, ask them questions, hug them and just be around them. I hope to be an x-times great-great-granddaughter they can enjoy spending time with. A popular Norwegian genealogy blogger recently interviewed me. Her blog is called "Hearts of the Children to the Fathers" and you may read the interview here. Please use the language translator button on the top right hand corner if you don't speak Norwegian. I started collecting information about my ancestors as a young fifteen year-old. I visited my old grandmother numerous times, asked her questions, and wrote down all the stories she told. The information about each person was kept alphabetically in a shoe box. I copied photos found in relatives homes. I wrote to priests, parishes, distant family members, and official offices. I visited state archives and loved flipping pages in the original Parish Records. The pages were large and fragile and smelled of libraries of old. Like it says in the interview, I believe that if a person does not enjoy genealogy, he or she has not tried enough. I promise you, that if you search for your family, you will learn to love them and be excited about getting to know them. I have. Today I have outgrown that old shoe box. I still have it, but computer programs are so much easier for gathering all the information about your past families. I hope you will be excited about finding yours. Good luck! Today's photo: This is my 2gg father, Elling Pedersen. 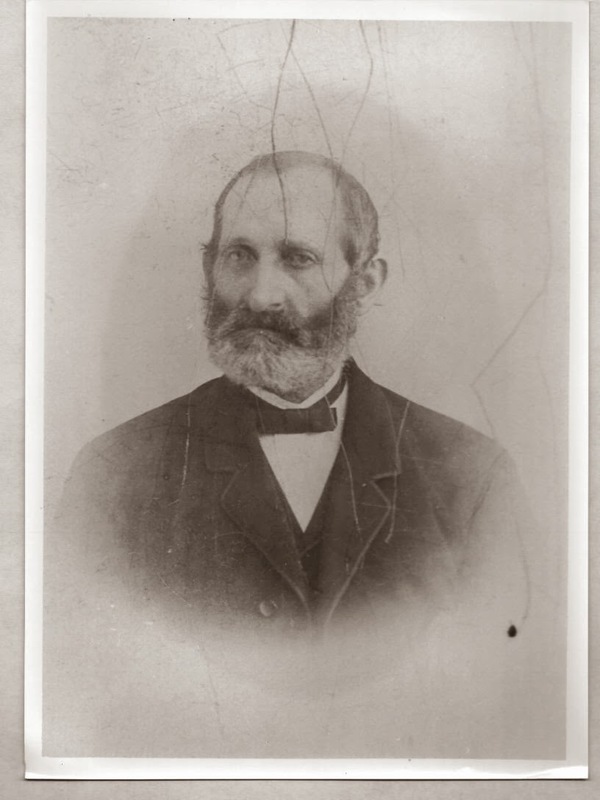 He was born in 1828 not far from where I live now and walked on ths earth for 99 years. Du skriver det så bra! En fin hyllest til de som har gått før oss og til genealogi. You write so well! A nice tribute to those who have gone before us and to genealogy.